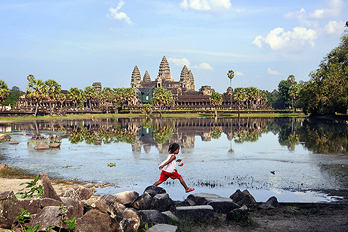 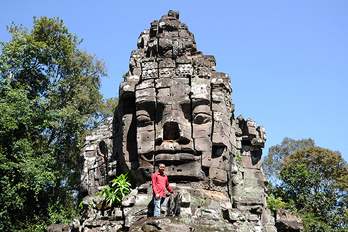 As a driver based in Siem Reap I offer day trips to the Angkor temples in the first place. 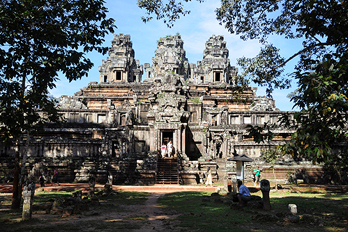 The classic round trips are called Small Tour and Grand Tour and will lead you to the most important temples, including Angkor Wat. 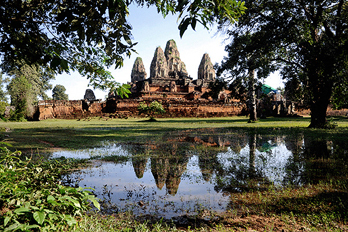 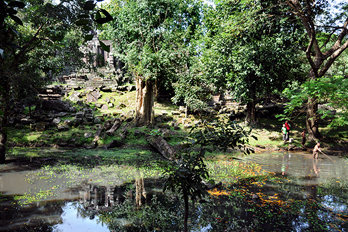 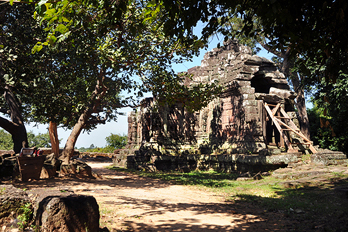 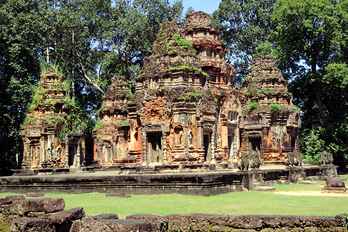 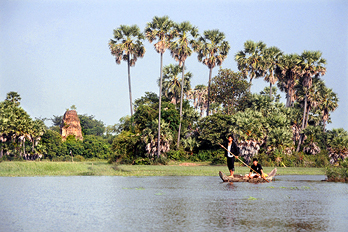 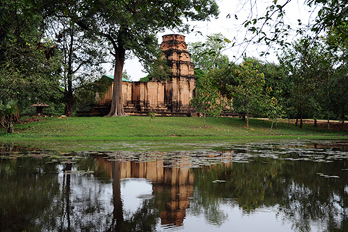 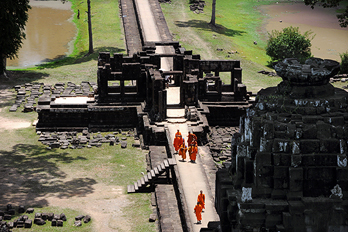 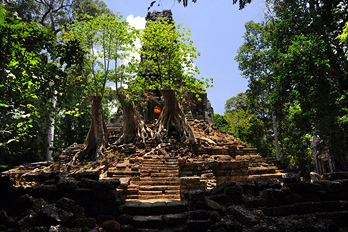 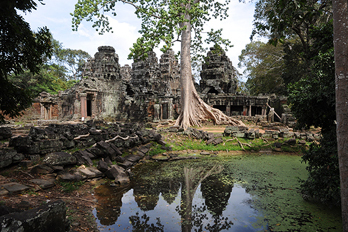 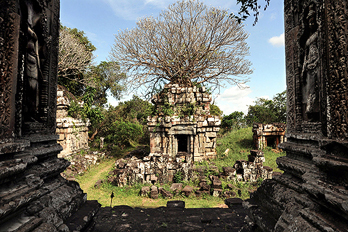 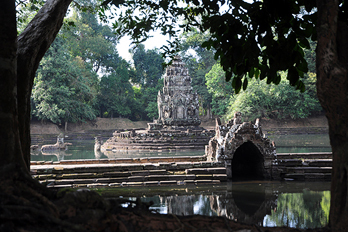 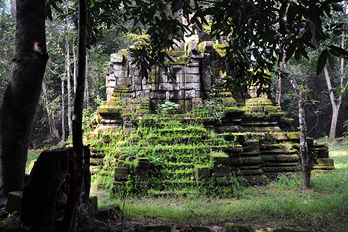 However, I also can show you some special places in Angkor off the beaten track, remote and tranquil sites. 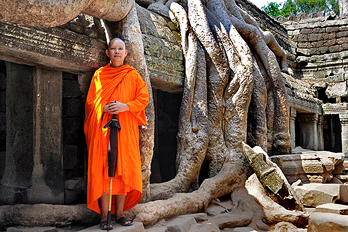 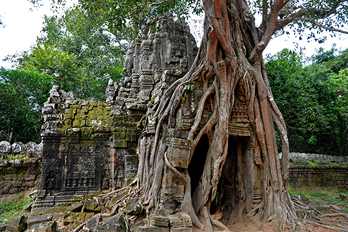 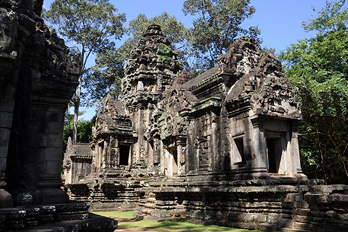 Here are lists of the 20 most important temples plus 20 untouristic places in Angkor. 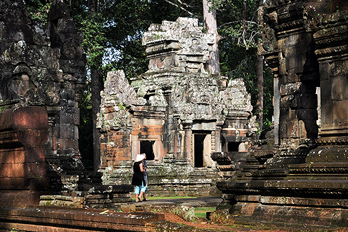 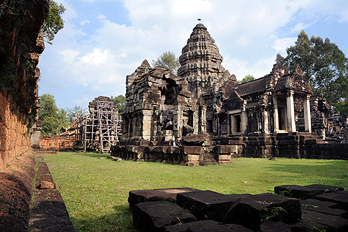 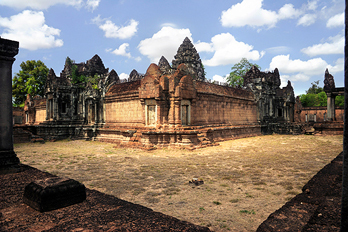 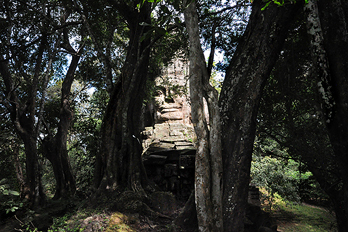 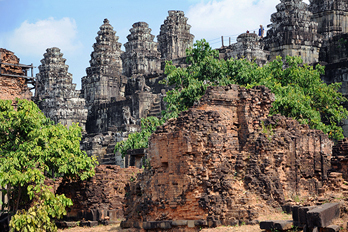 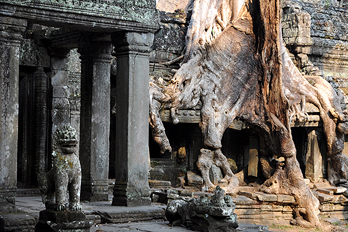 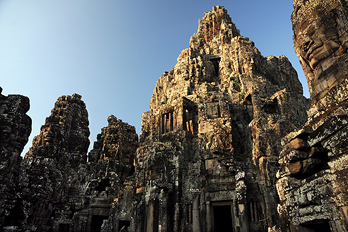 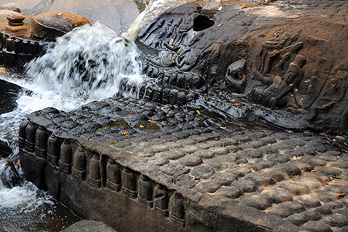 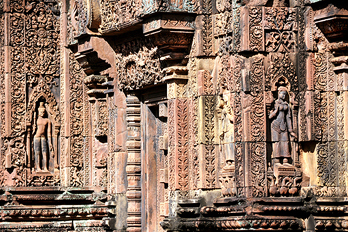 Altogether 80 monuments can be visited in Angkor and surrounding. 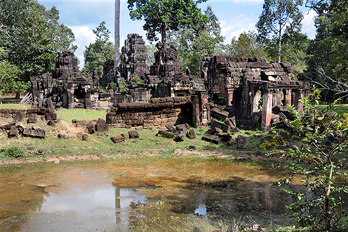 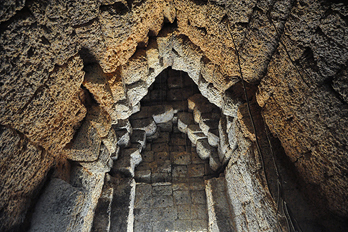 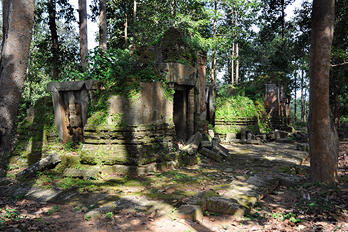 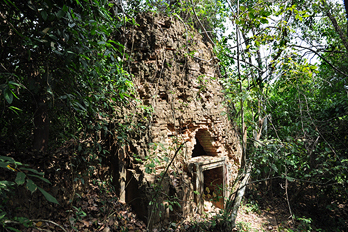 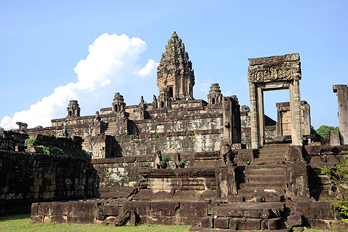 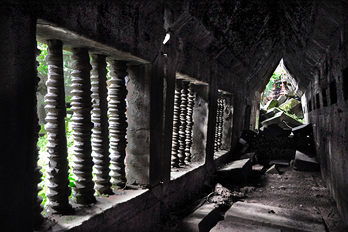 The total number is even greater, since the area of Angkor once extended to the mountains of Phnom Kulen. 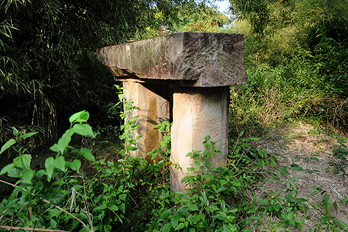 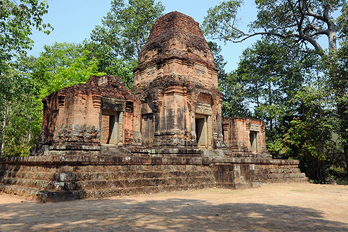 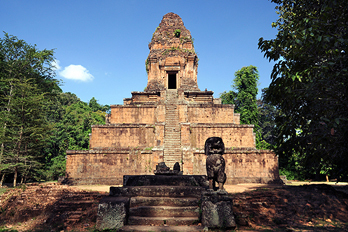 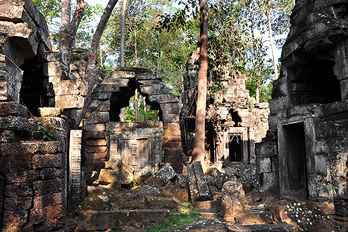 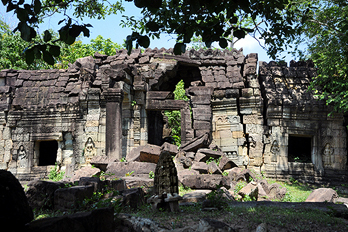 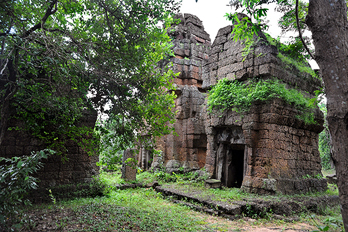 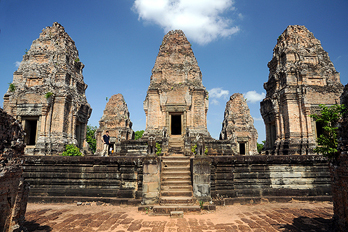 Some of the monuments could be called a temple town of its own, for example Preah Khan is as spacious and rambling as a medieval European city.